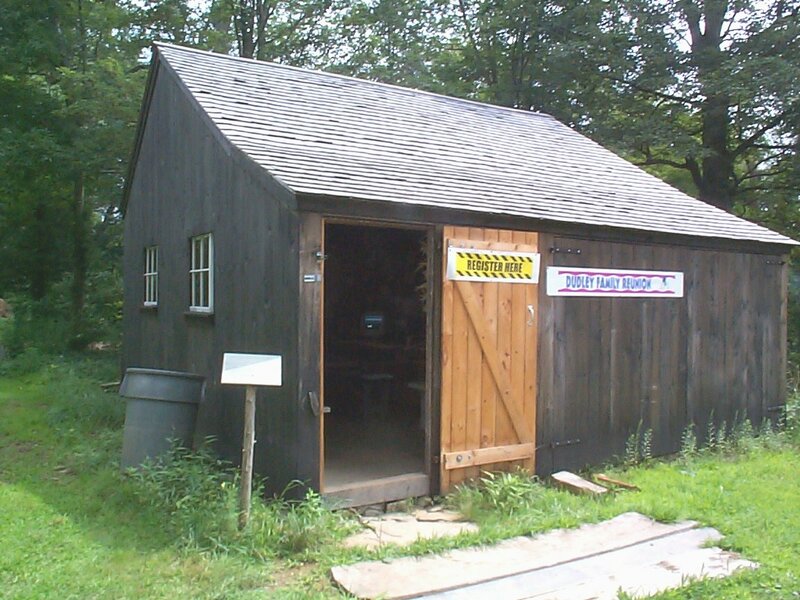 Located in North Guilford, CT at the junction of routes 77 and 80, Dudley Farm was in the same family for about 350 years. In 1991 David Dudley willed the farm to the North Guilford Volunteer Fire Department who has worked to help create a private, nonprofit foundation to oversee the 10-acre farm, farmhouse and barn buildings as a working farm. Various events are held throughout the year including blacksmithing demonstrations, sheep shearing, wool spinning, crafters, quilters, archeological digs, and music jams. Directions: From I-95, Exit 58, bottom of exit turn left (if northbound) or right (if southbound). 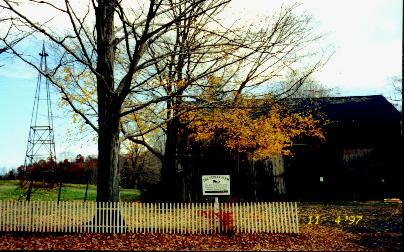 Follow Route 77 north for 3 miles; at route 80, proceed straight, Dudley Farm is on your right. Joseph Dudley 1643-1712 & Ann Robinson - In 1690 Joseph received a land grant of 200-acres. William Dudley 1684-1761 & Ruth Strong (1st wife) - William was probably the first to farm the land known as "Dudley Farm". Nathaniel Chidsey "Nathan" Dudley 1821-1912 & Sophronia Annis Rossiter - Nathan built the present house being restored as part of the Dudley Farm in 1844 and twice additions were built to accommodate his growing family and their parents. His three closest neighbors were his brothers Erastus, Luther and Ebenezer, whose houses still stand as of 1997. David Munger Dudley 1909-1991 - was unmarried and the last owner of Dudley Farm. 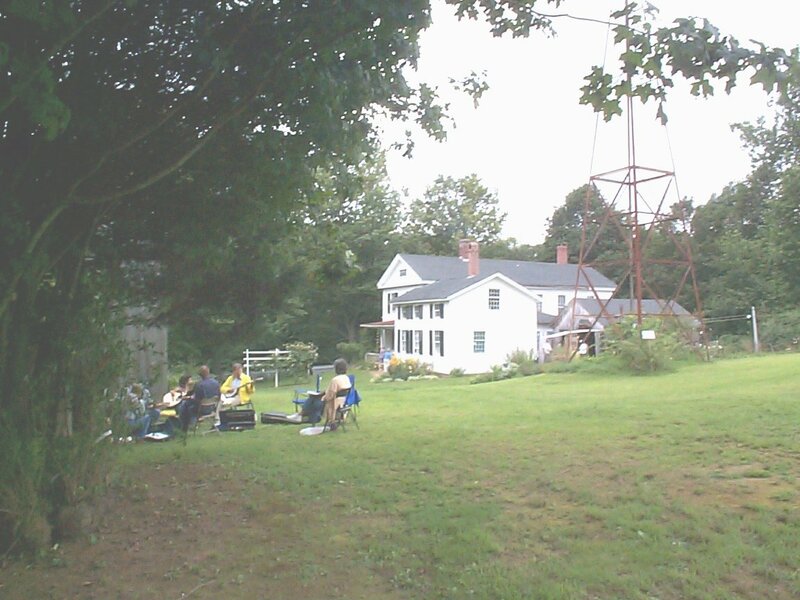 As of 1997, efforts are under way by the Dudley foundation to restore the historic Dudley Farm in Guilford, Connecticut into a 19th-century working environment as a living museum. In 1690 Joseph received a land grant of 200-acres. 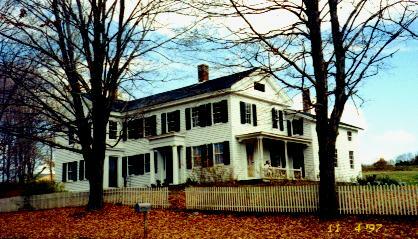 Since that date more than 300 years ago, one or more members of the Dudley family has continually occupied it. David left an estate worth more than $500,000 to the North Guilford Congregational Church and the North Guilford Volunteer Fire Department. The Fire Company decided it wanted the house rather than the cash and worked out a distribution with the church; thus began the idea for the restoration. A first look at the house after David's death found a house virtually unchanged since its original construction. The walls had one coat of paint, floors were painted up to where the rugs would have been, newspapers from 1961 covered some of the furniture, the barn had a thriving colony of about 6,000 bats. The house was built by Nathaniel Dudley in 1844 and twice additions were built to accommodate his growing family and their parents. 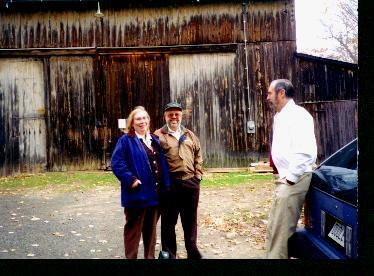 2000 ... Ed and Linda Dolby traveled from Texas to attend the 2nd annual reunion of the Descendants of William Dudley which was held on September 12th at The Dudley Farm in Guilford, Connecticut. 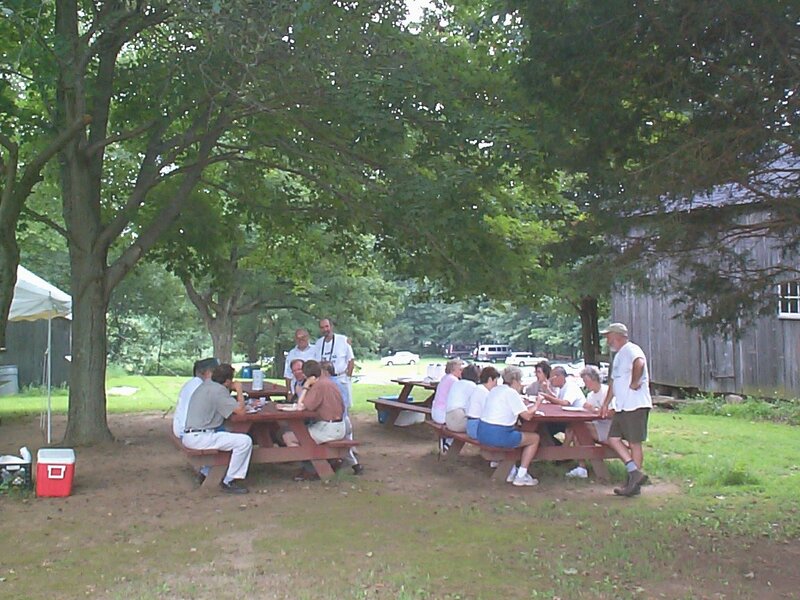 Those in attendance were treated to a wonderful meal roasted outdoors with all the trimmings and had an update on the farm by Curator Jim Powers (who also led us on a trip to the cemetery to view our Dudley ancestrial gravestones). Al Dudley had copies of the Descendants of William Dudley on hand for those who wished to purchased a copy. Also taking place at the farm were 2 different musical jams going on, ladies hooking rugs, and a farmers market. A major highlight was meeting new cousins and discovering how many other lines we had in common. The day was a huge success and one we will remember for quite awhile. 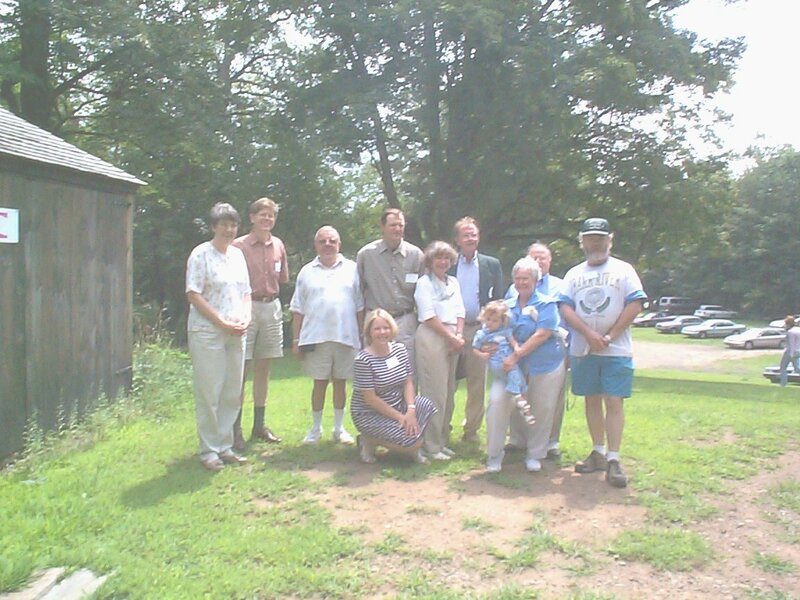 1999 ... A successful reunion of the Descendants of William Dudley was held August 14 and 15, 1999 at The Dudley Farm in Guilford, Connecticut. A family association was formed and is now accepting memberships in the William Dudley Family Association. 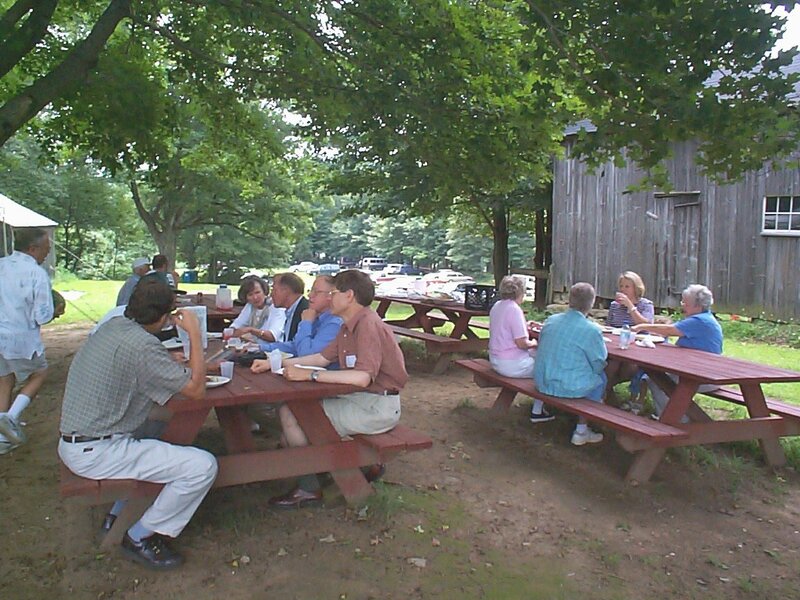 For more information on the 2000 Dudley Reunion or joining the Association, please email Dudley Family Association. 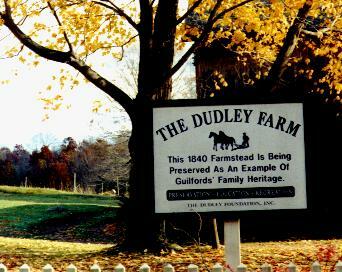 Note that the Association is not part of the Dudley Farm.